There is a delicacy and subtleness about the music of Mandolin Orange to create the most thoughtful of listening space. Their latest bout of creativity reveals a fourth album release on the influential Yep Roc label and a further opportunity to build on their flourishing credentials. 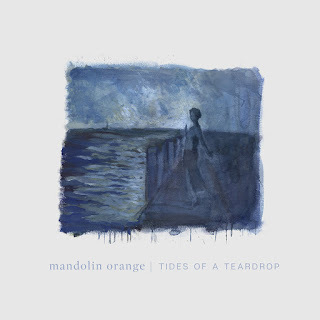 The chemistry between Andrew Marlin and Emily Frantz was evident when first seeing the duo play live a couple of years ago and the intimate qualities that make Mandolin Orange a compelling all round act pack the album to the hilt. The alliteratively titled TIDES OF A TEARDROP weighs in at ten-tracks-forty-two minutes and uses every crevice of the tight canvas to illustrate the intricacies of roots music. Hailing from Chapel Hill North Carolina, Andrew and Emily are surrounded by a rich environment evidently making old time roots music relevant in a contemporary age. Each track floats along in an acoustic cloud, punctuated by exquisite vocal exchanges that breathe continual life into the listening experience. You do not have to listen long to detect the relevance of at least one-half of the band title. Although in the name of balance, the violin and perpetual acoustic guitar feature as much as the mandolin, providing a soundscape that glistens with a rustic gold. There is a distinctive edge to both Andrew and Emily’s vocals, which exchange the lead role especially in the first half of the album. Without resorting too much to gender stereotypes, there is a more rounded elegance to what Emily offers in the song department in contrast to the harsher side of her partner. However, when utilised together they blend perfectly. To get the most out of this album, repeated plays are desirable in order to tap into the vibes and thus gently sway with its breeze. Once switched on, riches will exponentially appear. On the song front, a promotional number titled ‘Golden Embers’ leads the way along with a delightful video for all to view. The vocals of Andrew continue into the soothing ‘Wolves’, before Emily steps up to lead on ‘Into the Sun’ and the slightly more up tempo ‘Like You Used to’. The second half of the album houses a distinctive country-sounding track in ‘Lonely All the Time’, while the record’s title appears within a line locked into the gospel-like ‘Suspended in Heaven’. ‘When She’s Feeling Blue’ adopts a softer tenderer tone in line with its title and ‘Time We Made Time’ ensures the forty-two minutes ends on a graceful plateau. Whether the strength of an individual track outweighs that of the album is debatable, but that leaves a fruitful pick for anybody wanting to share some of the treasures in airplay. 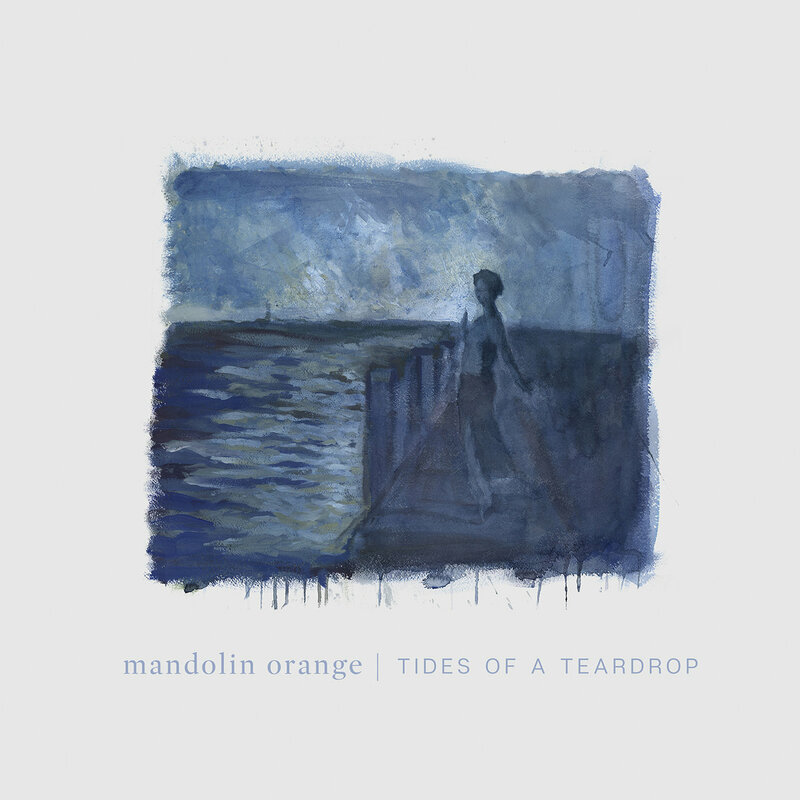 Ultimately, Mandolin Orange indulge best in one single extended sitting and TIDES OF THE TEARDROP proves the perfect soundtrack for some blissful roots music.